I'm chafing at the bit to be honest. Went birthday shopping for my granddaughter and couldn't find the gifts we wanted at Toys R Us. My LHS is also a toy store, so I recommended to the missus we stop there. While she shopped for the granddaughter I perused the kits, looking for a deal on some Africa-related armor to tide me over. I probably would have bought something except for the fact that they've had a recent price rise. I have every hope that this will be a rocking campaign. Special thanks to Claytonfromellijay And Erichvon for their teamwork creating our campaign ribbon! 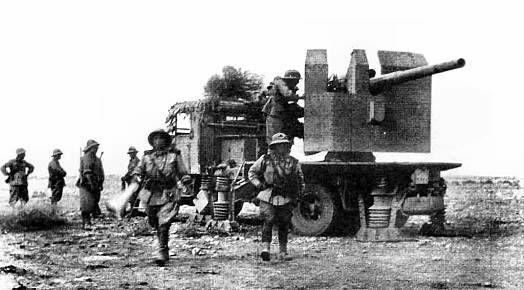 This may perhaps be one of these French WWI Field pieces to serve the Wehrmacht in North Africa. This one may be in Norway. In Northern France with a limber. My pleasure to contribute, Gary, Thanks! Well, this is gonna be real educational for me, because when it comes to Italian land weapons, my knowledge stops after Carcanp and Carro Armato. So if any of you guys wanna post some pictures of a weapons system, please feel to share your knowledge. 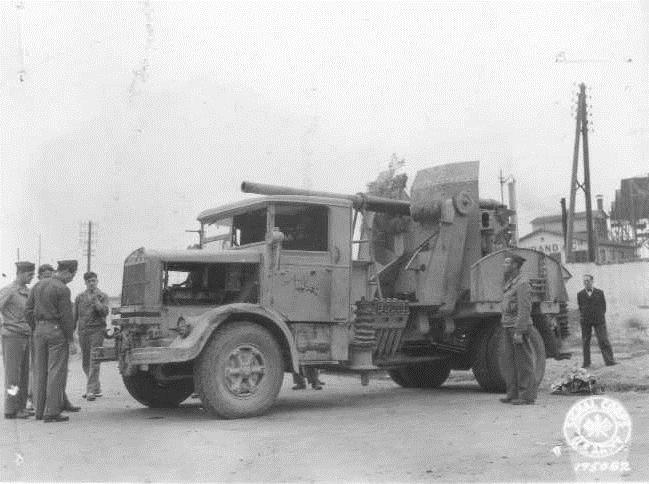 This is the autocannone da 90/53 su lancia 3ro. And finding articles about it in English you have to scroll past a lot of web pages in Italian. I read that it compared favourably with the German 88. 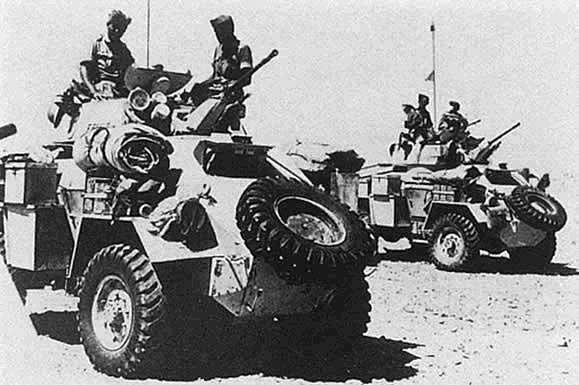 Gazzas if you need some Italian translation just ask..
nice pictures,On the other page I saw that you posted a photo where a Vickers Light tanks has a camo like a wall, are you sure it's a photo of north africa? That's kind of what I thought also-It was a Malta scheme. This campaign is picking up momentum. I've been looking through my stash for candidates: Tamiya ,1/48 Crusader or Matilda; Tamiya 1/35 Sd.Kfz. 221 or 222. That's just the tip of the iceberg. I knew the Vickers was from Malta, but decided to add it to the pictorial because it was a interesting scheme and because it's not always easy to find a lot of in-theatre pictures. Likewise, for the 15.5 cm s.F.H. 414 (f), I could only find one photo of it from Africa. So I used some others to flesh out the post and show more of it. I always hated it in the old days when you are reading through a book and you only have one grainy picture of a weapon you found interesting. With the autocannone da 90/53 su lancia 3ro I got lucky. I started my search by using text from the Gazala OOB. This took me to pictures of a few Italian small field pieces as well as some late-war Russian gear. Changing my search words took me to a photo from Pinterest in Italian language. Using the Italian text took me to a huge number of photos. Thank you. I hope to get a lot more weapons photos/gain knowledge before the campaign proper begins. You must have an impressive stash. At the moment I only have one kit that fits the campaign. I hope to have at least one other before it kicks off. Of course, as I keep a small-ish stash, I have to build to buy some more. According to Wiki: IT was an Austrian design license produced in Italy. It also served as the main gun of the M13/40 tank. Although it compared favourably to the British 2-lb and German 37mm gun, it served for too long against newer tanks it couldn't match. The Italian mechanized forces did very well. I think it was the infantry divisions that were the problem. Low moral and poorly trained. 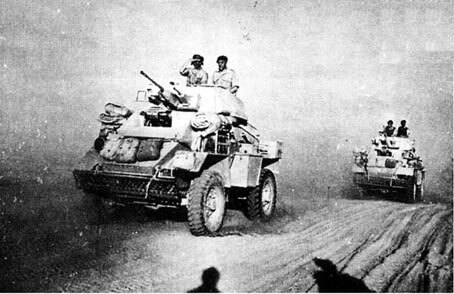 Early on the Italian tanks were capable against the British forces. 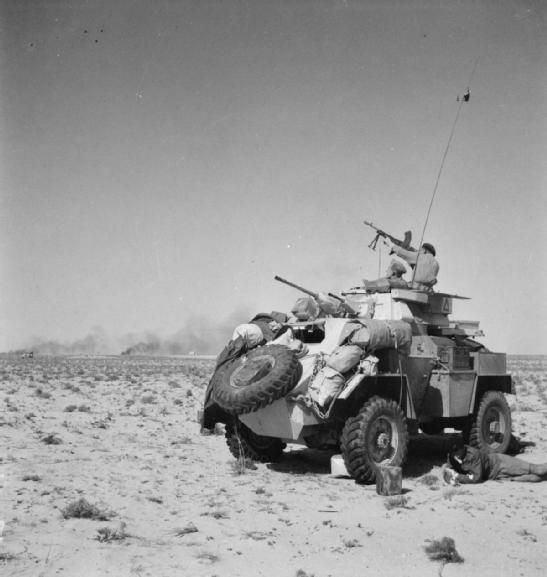 By Gazala they were hopelessly out matched by the newer Allied medium tanks. So a question for yous guys: How would I backdate a Valentine from a Mk VI to a Mk III? Also, same question goes for my Crusader--is it possible to build it as a Mk II instead of the boxed Mk III? I was hoping somebody knew the answer to this. Especially since there is no Crusader II out there. The Valentine VI was made in Canada. Most of them went to the USSR. Some served with the British, but I haven't read where they might have fought. 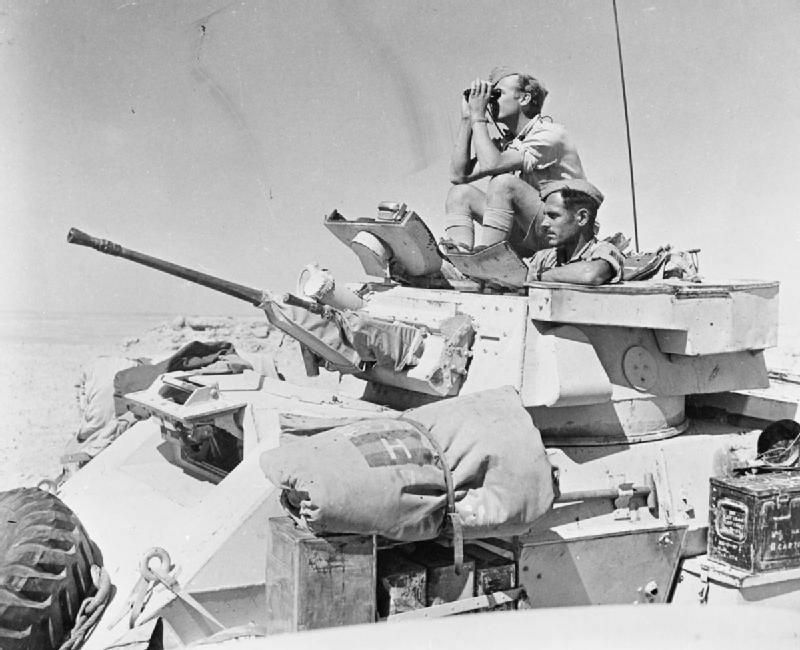 The Crusader II had a small turret up front and a 2-pounder gun. 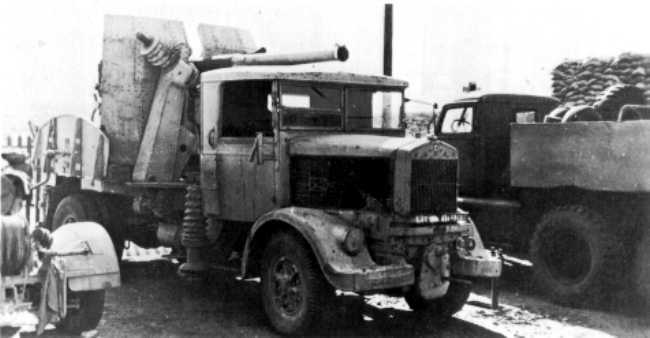 The III has a 4-pounder gun. There was a time I thought I knew a lot about tanks, especially panzers. But then I came here and learned that I knew a lot less than most panzer experts. I'll give it a shot. Still not sure which one I'll build. Leaning towards the Crusader right now. I've got a 2pdr barrel for it, not sure about then mantlet. More research required. Marder II? Was it in use? I can't find anything for this particular variant in use in this campaign. I can only think that the Marders came later. The Panzerjager abteilung was still making do with Jpz I's. 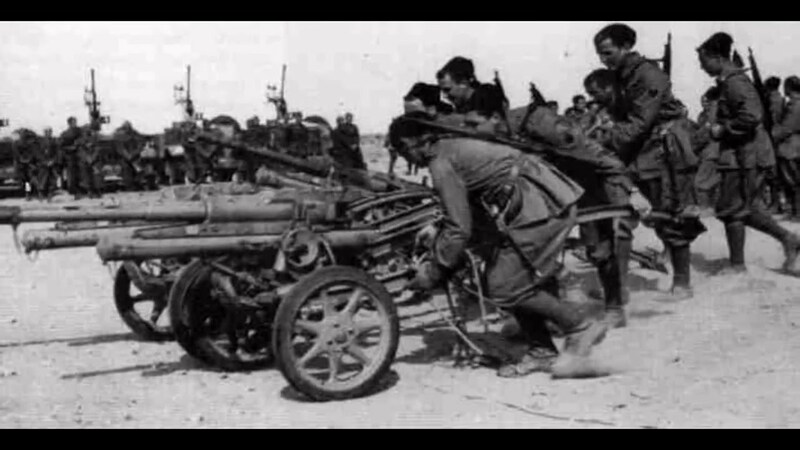 I don't know how long it took to get all of those captured Russian 76mm guns into use. 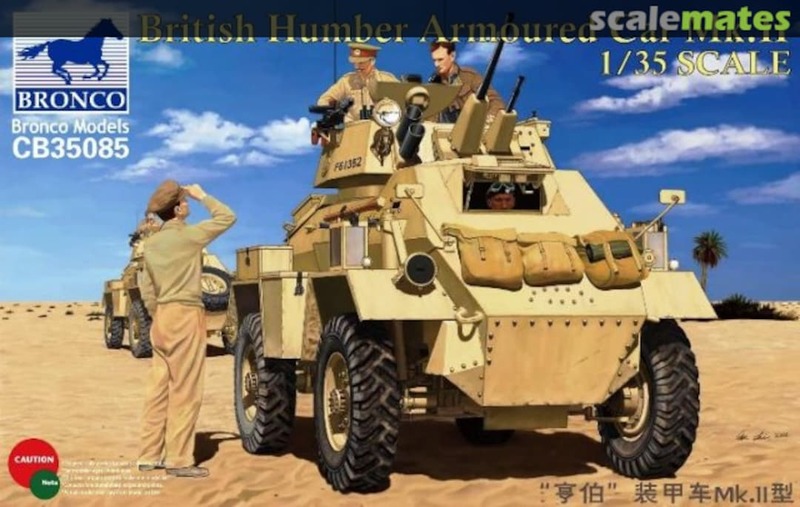 Next in for my education is the Humber Armored Car. As usual, all images for discussion only. Well, for my birthday I just received the Academy 1/35th M3 Stuart "Honey", which has two marking options for the 8th Hussars that fit the time frame of this campaign, so I will be jumping on board. That's great news Iain! Glad to have you with us! I will be a definite starter for this build as I love the western desert theatre. Given that we have some time till kick-off I will have to review the stash to make up my mind on an entry, but at this stage I’m short listing the Tamiya Valentine or Matilda. Gaz, if you're going to build one of those Bronco Humber kits, stock up on provisions, because it's going to be a long build. And, if you don't know already, many small parts that can break easily. My hat is off to you for going for that kit. I'm sorry, Johhar, you must have misunderstood my post. I don't have the Bronco kit. Or any Bronco kits for that matter. I have enough trouble with Dragon. I'd find even smaller parts impossible. I was just posting the kit box to show that it does exist.